My name is William Wescott I live in greenwood sc . 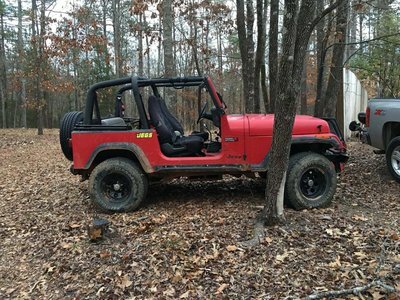 I currently have a 92 yj fourbanger with 2.5in lift on 31s. For right now I still have stock axles with 4.10 gears and open diffs. I'm planning on putting a ford 8.8 in the back that I have once I go though and clean it up that has limited slip. 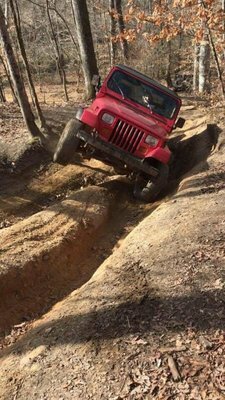 Currently the only place I've been to is gulches but I'm looking forward to taking it out of town soon. 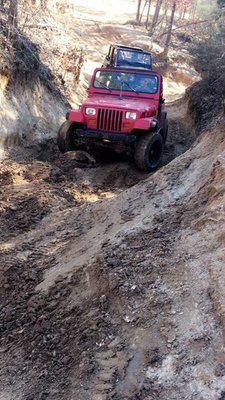 sweet yj, sometimes its the simple wheeling on 31s and open diffs that can be the most fun.